HIV testing in infants and toddlers (age 18 months or less) varies significantly from how adults are tested. Rather than testing for HIV antibodies (the protein produced by the immune system in the presence of HIV), doctors will instead test for the actual presence of HIV using what is called a qualitative viral assay. This differs from quantitative viral assay (a.k.a the "viral load') used to measure HIV in a person's blood. Instead, the qualitative test confirms whether the virus is actually there or not. Antibody tests, including newer generation tests, cannot establish HIV infection in infants because the antibodies may, in fact, be that of the mother—transferred from mother to child through the placenta during pregnancy. It’s important, therefore, to understand that the presence of these "inherited" antibodies does not indicate HIV infection. Quite often, the maternal antibodies will slowly disappear, on average when the child is around 14 months of age (although it can be as high as 24 months). In order to minimize the risk of infection, newborns are generally prescribed a preventive (prophylactic) course of antiretroviral drugs for a period of four to six weeks. In the U.S. and most developed countries, pregnancy guidelines recommend that breastfeeding be avoided to prevent possible transmission of HIV through breast milk. The virologic assays used in infants can either be the so-called polymerase chain reaction (PCR) test, which detects the presence of HIV DNA, or an HIV RNA assay, which clearly detects HIV RNA. While the specificity of each of these tests is high at the time of birth, their sensitivity (the ability to accurately detect HIV) can be as low at 55% for the PCR and 25% for the HIV RNA. However, by the time the newborn reaches three months, the accuracy of the tests generally approaches 100%. In specific circumstances, HIV antibody tests can be used in children between the ages of six and 18 months to definitively exclude HIV infection. However, they should not be used to confirm HIV infection due to concerns about residual maternal antibodies. Confirmation of an HIV infection should be based on two positive test results taken from separate blood samples. two negative antibody tests taken from separate blood samples in children over the age of six months. In children over the age of 18 months, standard adult HIV testing guidelines apply. Because of the limitation of the tests at the time of birth, HIV-exposed infants are generally tested at 14 to 21 days, then one to two months, and finally four to six months. By week two, the sensitivity of the tests rapidly improve. If a positive result in shown at 14 to 21 days, doctors will immediately perform a second confirmatory test. If positive, doctors would initiate full-time antiretroviral therapy for children age 12 months or less. For children over the age of 12, initiation will be determined based on the child’s clinical condition and CD4/viral load values. However, if the test is negative after 14 to 21 days, a second test would be performed two to six weeks after terminating prophylactic therapy. A second negative test at this stage would indicate that the child is presumptively uninfected. A second negative at four to six months would be considered a definitive negative diagnosis. Antibody testing can be used in children over the age of six months up to the age of 18 months. Generally speaking, two negative antibody tests at six to 12 months are enough to be considered definitive. However, some doctors prefer to test at between 12 to 18 months to ensure that all maternal antibodies have disappeared. Infants considered at high risk of infection (for example, in mothers who have not taken antiretroviral therapy during pregnancy or who present with an acute infection) may be tested at birth since the likelihood of infection is far greater. 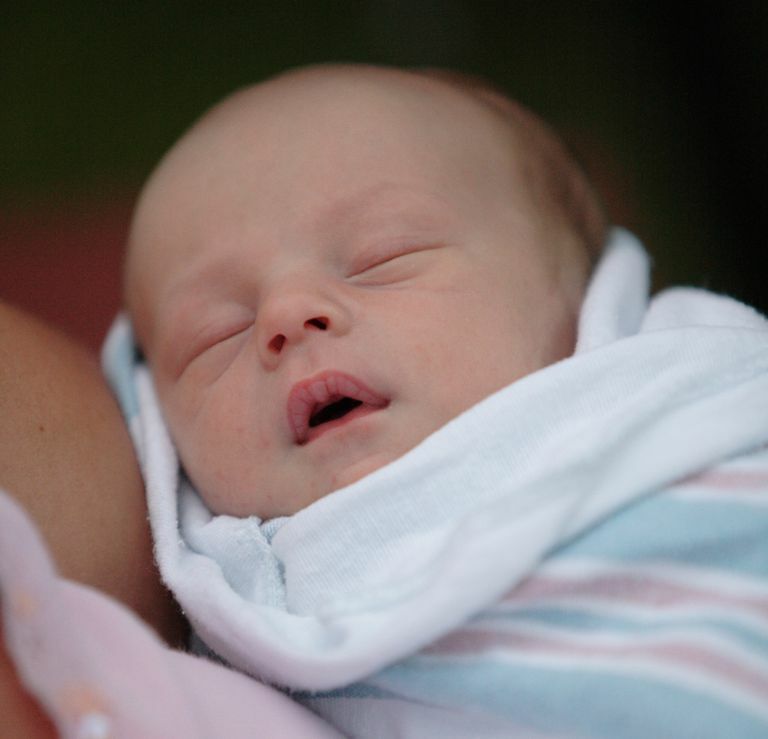 Of this group, between 30% and 40% of infections can be confirmed at 48 hours after birth. In such instances, prophylactic therapy would be stopped and full-time therapy would be initiated. U.S. Department of Health and Human Services (DHHS). "Guidelines for the Use of Antiretroviral Agents in Pediatric HIV Infection: Diagnosis of HIV Infection in Infants and Children." Rockville, Maryland; updated February 12, 2014; accessed April 14, 2014. Gutierrez, M; Ludwig, D.; Khan, S.; et al. "Has highly active antiretroviral therapy increased the time to seroreversion in HIV exposed but uninfected children?" Clinical Infectious Diseases. November 2012; 55(9):1255-1261.